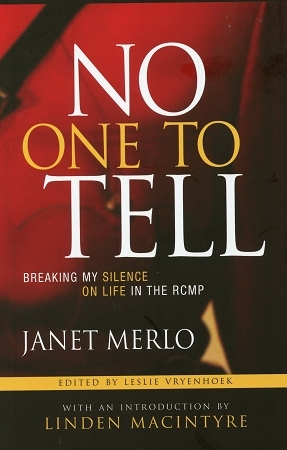 A stunning personal account of Janet Merlo's twenty years of service in the RCMP In 2012, Janet Merlo was among the first female RCMP officers to publicly alleged she had experienced sexual harassment and gender discrimination while serving in Canada's national police force. The woman kept silent for so long, she says, because there was no one to tell. In this courageous memoir, Merlo recalls how her love of policing was soured by covert and overt sexism within the ranks and by an institutional culture that valued toughness and silence over ethics and accountability. Tracing her twenty years in uniform, Merlo's story details the highs and lows of her career in the RCMP - while her mental health and personal life disintegrated. Eventually, the cost of keeping quiet was simply too high, and her story emerges as a lone, brave voice seeking change.